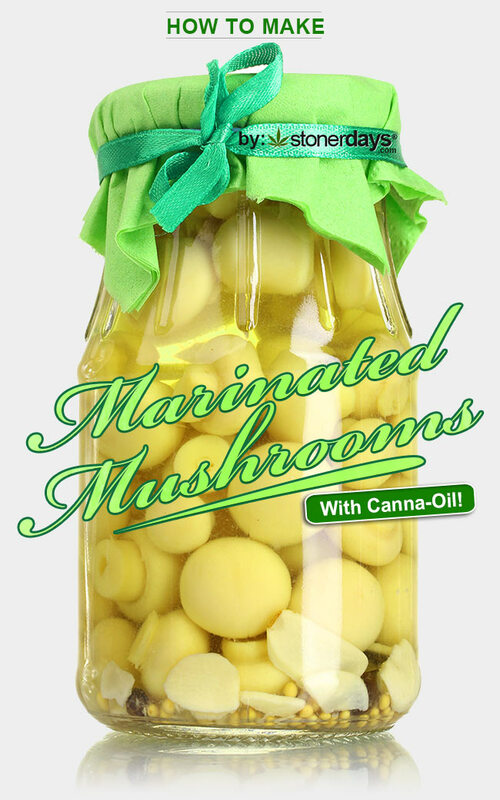 How to make Marinated Mushrooms with Marijuana! This is really exciting, and these mushrooms can be served with rice, fish, cut up in soups, or eaten alone and can add some much needed flare to your meal. Being that mushrooms are so diverse, there’s really no limit to what you can do with these and they also would make a great topping on pizza. You can think of these guys as a much more tasty, much more milder form of psychedelic mushrooms. Now that you’re more than eager to have a taste, let’s cook some! Go ahead and grab a container you’d like to store your mushrooms in and put that asise for later. In a pretty big bowl add canna-oil, white wine vinegar, oregeno, minced garlic, salt, thyme, red onions, and pepper, mix everything together really well and pour them into your container. Next you want to prep the mushrooms and rinse them making sure to remove any dirt. 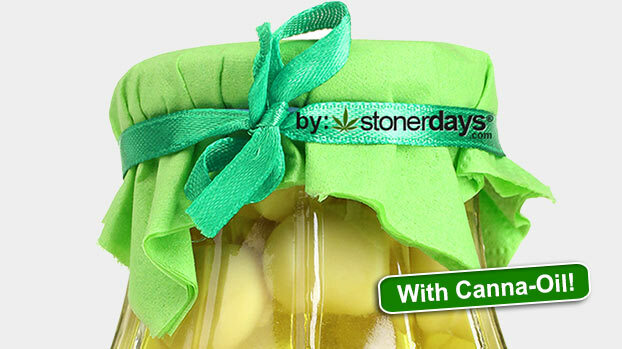 You can leave the stems or cut them whichever you prefer. Boil the mushrooms in salt water for about 6-10 minutes or until soft and tender. Drain from water and pop them into the flavorful mixture. Let them sit in the fridge for 20-30 minutes to marinate and soak in all the trippy oil and spice. Now they’re ready to serve and you’re ready to get high!